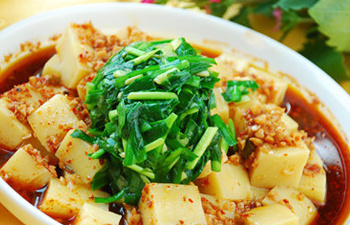 The sweet and thick rice-wine in Xi’an, also known as yellow cassia wine, is one of the famous beverages of the region. 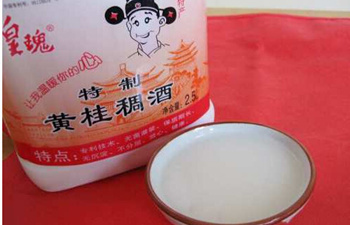 It does not look clear as the papular white liquor but rather resembles the soya bean milk with a little stickiness. 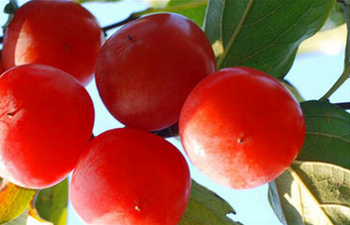 The shiny-red persimmons produced in Lintong look big, shiny and fiery red, also known as “Big Shiny-fiery. ” Because “the persimmon is fiery-red like flames and its surface shiny like crystal,” hence it is so named. 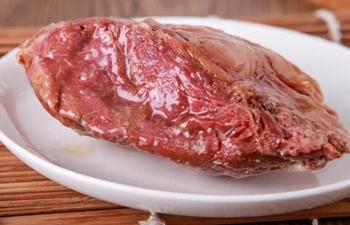 The crystalline cake turned out in Demaogong Food Store at the corner of the cross-section of the Western Avenue and the Guangji Streel is the authentic product in Xi’an. Being initiated during the reign more than hundred years. 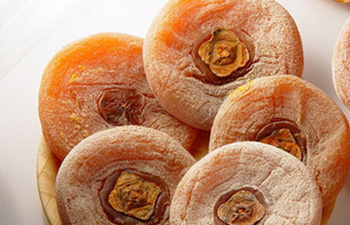 The steamed jujube-cake is one of traditional foodstuffs for breakfast in Xian. 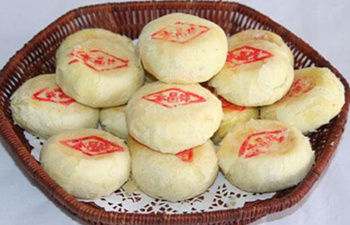 The materials of the making of steamed cake include glutinous rice and red jujubes, and it is a kind of sweet cakes. 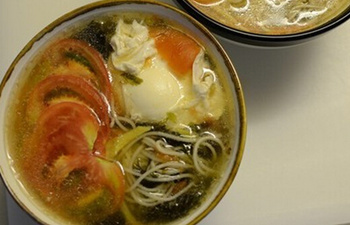 “Hele” is a special kind of noodles and one of the local snacks. 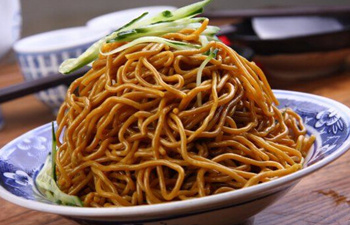 The most famous ” Hele” is that made in the Jiaochangmen Restaurant, and so it is also called the “Jiaochangmen Hele.” It is made with buckwheat flour by a special method. 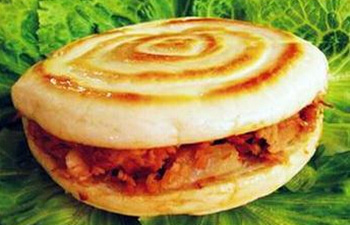 It is a kind of famous snack in Xian. Created by Fan Bingren and Fan Fengxiang father and son in 1925 it has already a history of almost 80 years. Won the “Golden Tripod Prize” award the bacon was assessed as fine quality product by the Ministry of Commerce in 1989. 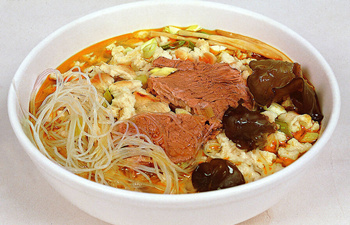 The cured mutton of the Lao Tong’s Family is one of the famous snack- dish in Xi’an. As saying goes: when the Eight Allied Powers were at taking Beijing Dowager Cixi ran away from Beijing to Xi’an bringing Emperor Guangxu with her. 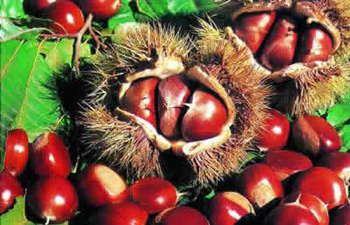 The Chang’an chestnuts are very nutritious, flagrant and good to appetite. Good in quality its pulp is fine and smooth. It may not only be taken into dry-fruit, powdered flour, canned goods or food and dessert. 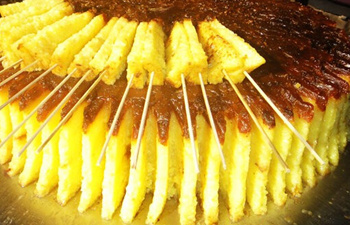 The baked cake diced and dipped in beef or mutton soup, known in Chinese as “Yangroupaomo,” is a kind of special snacks in Xi’an. The specialty is that the lean meat is tender while the fat does not taste and young. 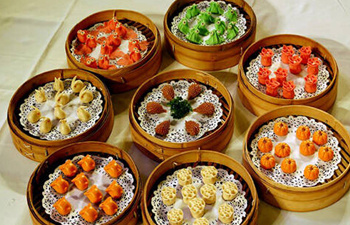 Dumpling is one of the most representative foods of Chinese dietary. In Xi’an Shaanxi, dumpling is popular among eaters of various ages and it develops into a famous local snack--- Chinese Dumpling Banquet. 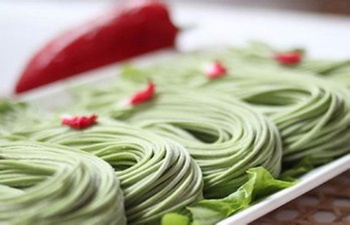 Spinach noodle, a traditional food prevailing over Shaanxi, with its easy-cooking methods but rich nutrition, wins great favor in this region. This special noodle has a long history.